Editable Sight Word Centers for March! 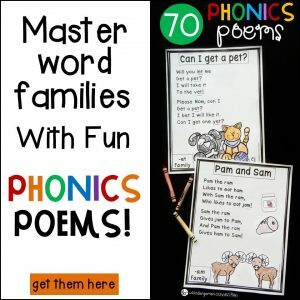 These sight word games can be used with ANY word list – simply type the words into the custom list creator, and all of the sight word games are populated for you and ready to go! 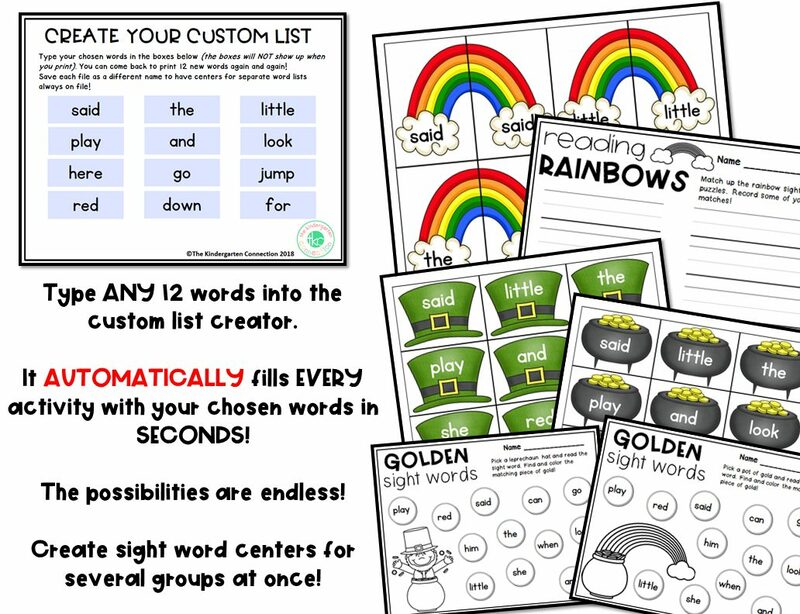 It AUTOMATICALLY fills EVERY sight word activity with your chosen sight words in SECONDS! This pack has 6-8 (two activities have more than one version to pick from!) 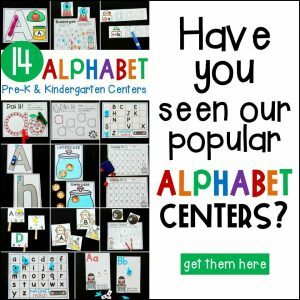 fun sight word activities that will boost learning and engagement in your March literacy centers! 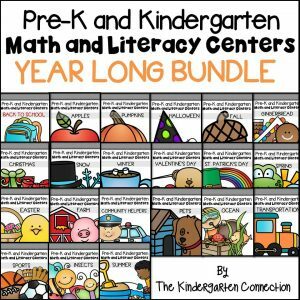 ***This pack is also available in a money saving BUNDLE*** of monthly sight word centers. Reading Rainbows – Match up the rainbow sight word puzzles. Record some of your matches! Golden Sight Words (version 1) – Pick a leprechaun hat and read the sight word. Find and color the matching piece of gold! 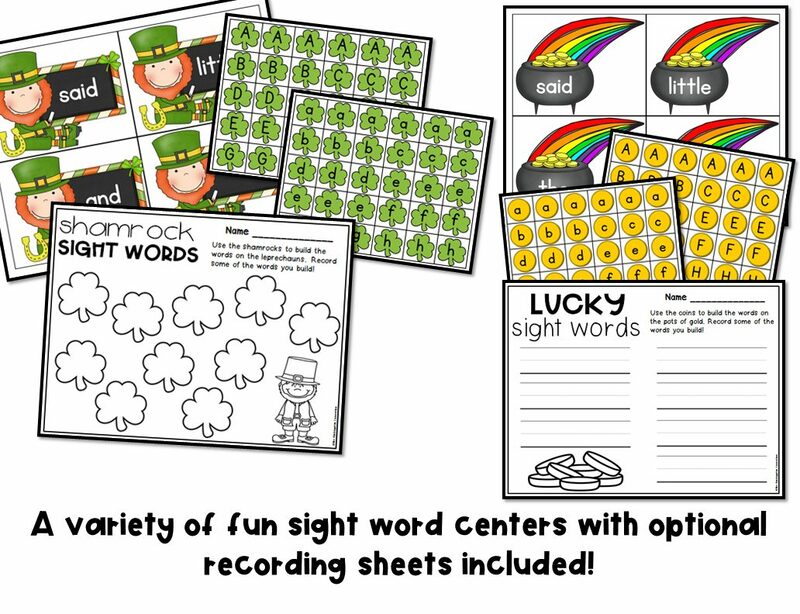 Golden Sight Words (version 2) – Pick a pot of gold and read the sight word. Find and color the matching piece of gold! 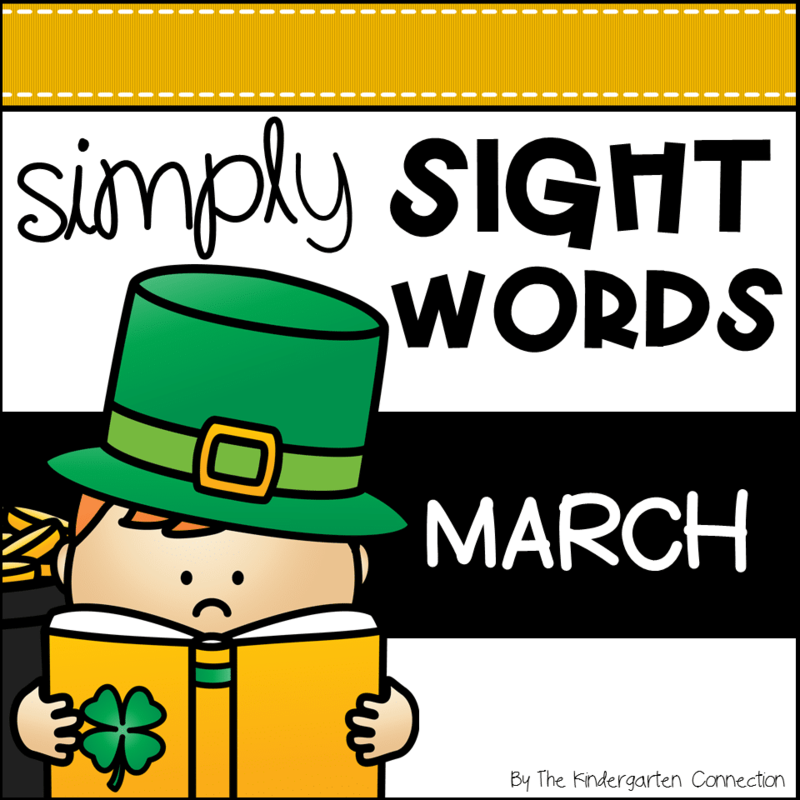 Shamrock Sight Words – Use the shamrocks to build the words on the leprechauns. Record some of the words you build! Lucky Sight Words – Use the coins to build the words on the pots of gold. Record some of the words you build! Lion or Lamb? – Is March a lion or lamb? Match up the lion and lamb sight words and record some of your matches! Pocket Chart Sight Word Game 1 – Place the poem in a pocket chart. 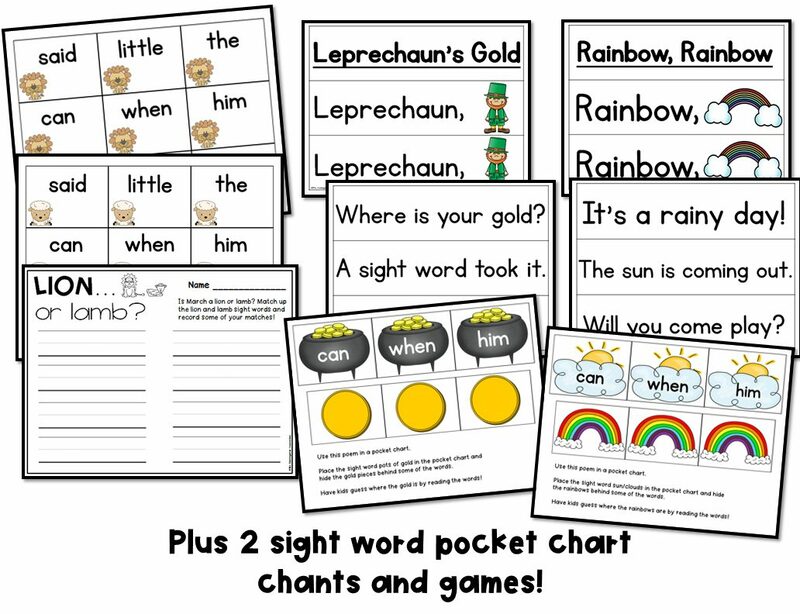 Place the sight word pots of gold in the pocket chart and hide the gold pieces behind some of the words. Have kids guess where the gold is by reading the words! Pocket Chart Sight Word Game 2 – Place the poem in a pocket chart. Place the sight word sun/clouds in the pocket chart and hide the rainbows behind some of the words. Have kids guess where the rainbows are by reading the words! Black and White Copies of color items are included at the end of the files.